A few weeks ago, while visiting Red Duck, brewer Scott Wilson-Browne pointed to a few label-less bottles stacked in boxes in his store room. “I've made a braggot,” he said. A few days later, I was having dinner with Ben Kraus, from Bridge Road, and a handful of other Aussie beer folk after an industry forum at Mountain Goat. I asked what specials he had lined up. “We’re making a braggot,” he said. This time I'd done my research and was able to appear less of a fool. Amazingly, neither brewer had any inkling the other was making such a rare style. And now they’re out – or on their way at least. 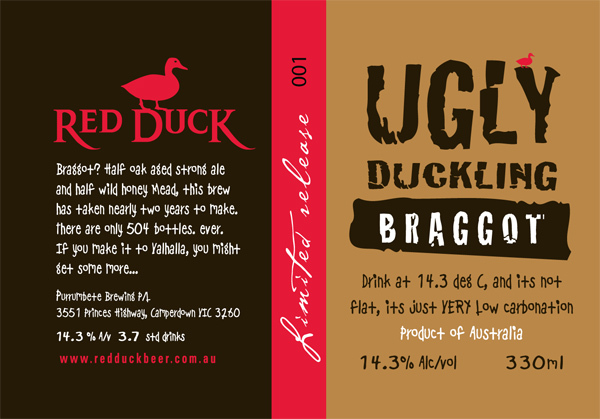 Red Duck’s Ugly Duckling is a 14.3% mead / barrel-aged strong ale blend, described by a friend on sampling it as “beyond beer”, of which only 504 numbered 330ml bottles have been produced. 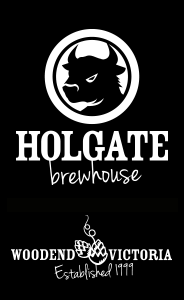 Bridge Road’s 10% Megachile Pluto Braggot – the first brew devised by assistant brewer Nardia McGrath – has been made with 85kg of Red Stringybark Honey plus a touch of cinnamon and nutmeg. They’re the first commercially produced braggots in Australian brewing history (we believe) and are very different, having been crafted by varying methods. Both are worth hunting down and, if you can stretch to more than one, will reward cellaring for a long time yet.